In March of 1897, the Evangelical Association considered all the territory west of the Cordorus Creek as a West York appointment to be served by pastors of church in the city. Mr. Flavel Seitz was secured as a supply pastor until the next session of the Annual Conference. However, when Mr. Seitz took one look at was Eberton, he pronounced the venture “a wild and erroneous leap in the dark, with little or no possibilities of ever being developed by the Evangelicals.” It was the wild and wooly west to him. He left, but others came and took the risks of faith. Nevertheless, by the summer of 1899, a lot was purchased on the corner of Philadelphia and Adams Streets for $500.00. A Church was built and dedicated September 24, 1899, by Bishop W.M. Stanford. It was a great achievement as no wealthy people lived in Eberton. The building cost $900.00. Within ten years, the Eberton United Evangelical Mission reached a membership of 108, with 168 attending Sunday School. 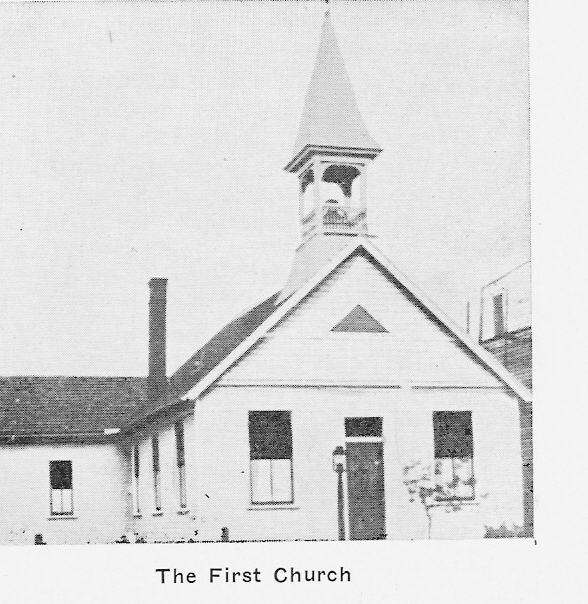 In 1903, the name of the church was changed to Zion United Evangelical Church. Denominational mergers, through the years, would see the name change several times—from 1922 to 1946, to Zion Evangelical Church; from 1946 to 1968, to Zion Evangelical United Brethren Church; and since April 23, 1969, our name has been Zion United Methodist Church. On December 5, 1999, during the Centennial Celebration of Zion Church, a $2 million dollar expansion of the church building and property was consecrated by Bishop Neil L. Irons. “Glory to God in the highest,” we declared at the consecration service, and as we began our second century in ministry and mission for Christ and the Church. The Bible says there is no other foundation than Jesus Christ. Our new cornerstone reflects this belief. We are built on the solid rock of faith in Jesus Christ our Lord for the purpose of glorifying God and in reaching and winning others for Christ and His Church. Today, Zion United Methodist Church is one of the largest United Methodist congregations in the Central Pennsylvania Conference, and ranks, in attendance size, in the top ten percent of all the United Methodist congregations in the Denomination. Our membership is over 900, and our Sunday Worship attendance averages approximately 400 in three (3) Services. Rev. Bruce Fensterbush is the twenty-first (21) pastor to be appointed to Zion Church. He has been Zion’s Lead Pastor since 2012. Pastor Reda E. Willis was added to our pastoral staff in 1995. Zion Church has a proud past rooted in mission and ministry. We are a vital congregation today with ministries extending throughout the York region and around the world in our United Methodist connection. Through it all however, we claim the promise of God for the years to come—the best is yet to be—for we have been set on a hill along the busiest and most traveled roadway in York County (according to the PA Department of Transportation) and God has blessed us to be a blessing to others so that the world might be blessed.